Born on October 29, 1904 in Nanaimo, B.C., Audrey Brown wrote her first verse at six years of age. She was first published at 16, but was 'discovered' by Professor Pelham Edgar in 1928. 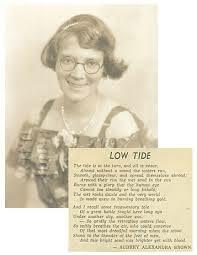 She wrote A Dryad In Nanaimo in 1931, her first book of poetry, followed by four others. She published her only work of prose, The Log Of A Lame Duck, after ten months in a solarium at Malahat Beach for treatment of a rheumatic illness. Working as a freelance journalist for the remainder of her career, Audrey Brown wrote under the pseudonym "the Khoji" for the Nanaimo Free Press. She received the Members Memorial Medal of the Canadian Women's Press Club in 1936 and became the first woman poet to be awarded the Royal Society of Canada's Lorne Pierce Gold Medal in 1944. When the Order of Canada was introduced in 1967, Brown became the first B.C. 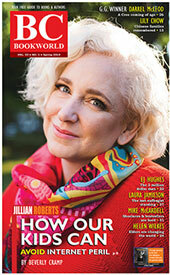 author to receive it "for her contributions to Canadian poetry";. She was invested in Ottawa in 1968. In 1967, she also received the Centennial Silver Medal. She died on January 1, 1998 in Victoria. She has been described as the first important poet born in B.C. "Audrey was the only daughter of eight children born to Rosa Elizabeth nee Rumming and Joseph Miller Brown, a watchmaker. She loved books. At the age of six, Audrey penned her first poem. "At the age of 23, Audrey was struck by a debilitating rheumatic illness and was hospitalized for it in 1934 yet continued to write. Collecting and repeating words were a delight, "for the sale of feeling their beauty on my tongue,"; Audrey said. "The Nanaimo Herald published her poems whereupon Dr. And Mrs. Wilbert Amie Clemens, scientists at the Pacific Biological Station, recognized her talent and began sending copies of her poems to their friends. Audrey became a personal friend of the Canadian poet and civil servant Duncan Campbell Scott. He was influential in introducing Professor Pelham Edgar to her poetry. Through the efforts of Professor Edgar, head of the English department at Victoria University in Toronto in 1928, Audrey's poems were published. Her first collection was A Dryad in Nanaimo (1931). "A Dryad in Nanaimo with 11 New Poems was published in 1934 followed by five other books, the last one, All Fool's Day, published in 1948. In an address delivered to the Canadian Authors' Association in Vancouver on August 24, 1941, Audrey said "Poetry is life transfused and irradiated. ";"
[BCBW 2015] "Women" "Poetry" "1900-1950"